Most of the time, when celebs make parenting choices that others disagree with (especially online) it’s just a matter of differing opinions. 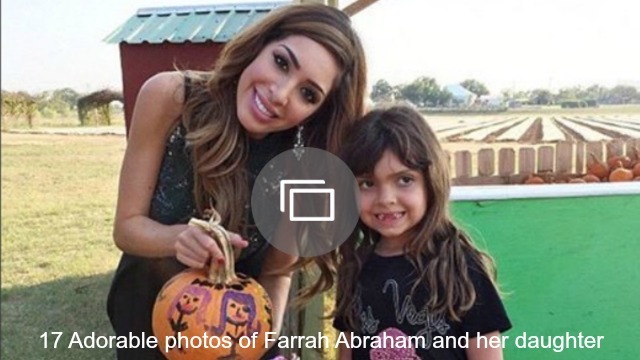 Sometimes, a celeb mom does something that’s just completely wrong, like Farrah Abraham reportedly giving her daughter weight-loss tea. Abraham posted a photo to Instagram, showing herself holding a packet of the tea and 7-year-old Sophia drinking out of a mug. “Teatime @flattummytea @sophialabraham & I- after all that candy,” Abraham wrote in the caption. The former teen mom’s followers were quick to call her out. A more gentle follower made the point that we’re all thinking: This could do some really serious damage to Sophia’s body image. Abraham later denied that she gave the tea to Sophia.